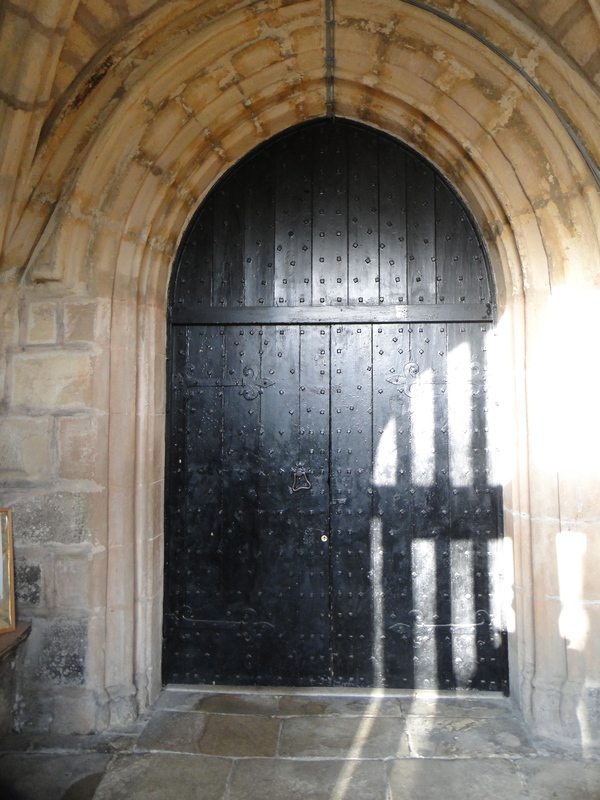 Wonderful door, good ramp down into a very large church. So large none of my general interior photos really worked. 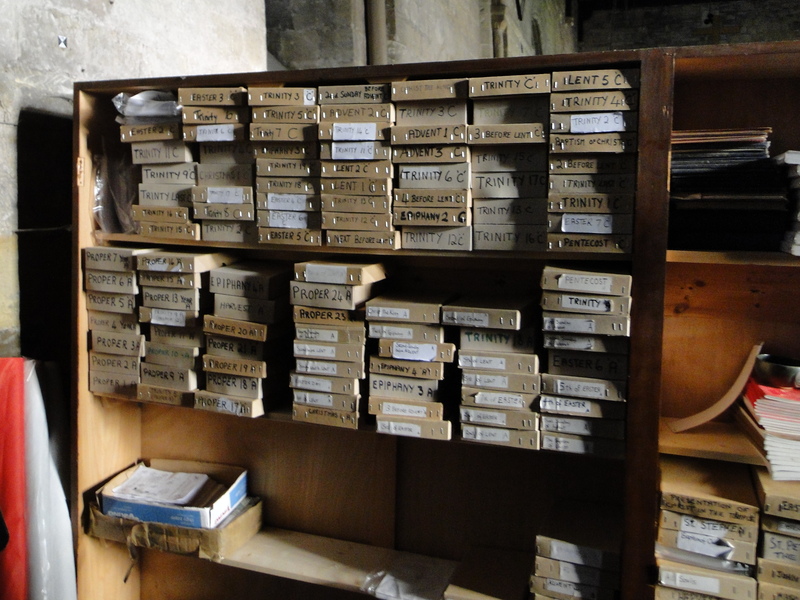 The south aisle is empty, the nave is full of fixed pews, with the organ and the choir pews right at the back – I bet they are a long way from the action. I’m not sure I’d have the guts to do it – but chairs might improve it. A superb new guidebook – one of the best I have bought so far. 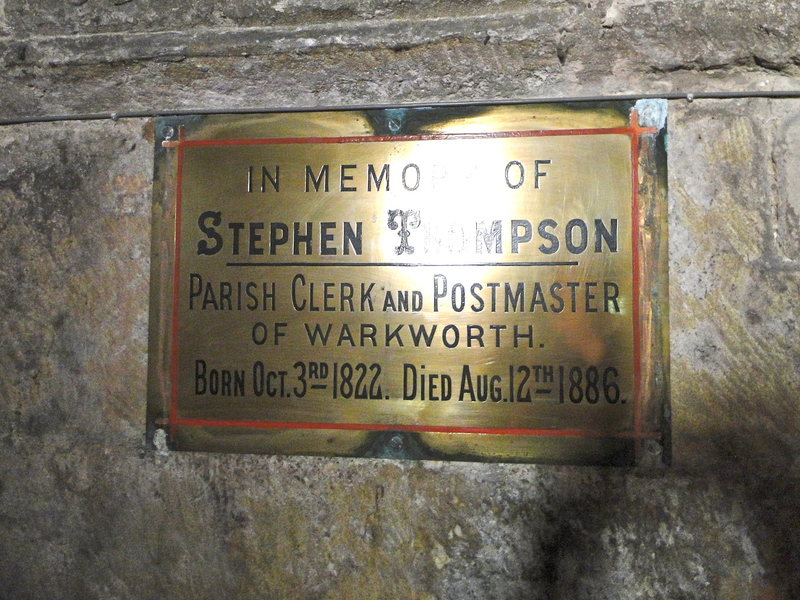 You can even read the whole guidebook at www.stlawrence-church.org.uk. They’ve recently had a major Renovation – lots of good photos on the website, but I wish they have some photos of parish life. (See www.pontelandstmary.co.uk if you want to see a good website!!!!!). In AD 737 records say that Ceolwulf, King of Northumbria, gave Wercewode, with the Church of St Lawrence, to the Abbot and monks of Holy Island. (He’s the King Bede wrote his book for). It would have been destroyed by the Danes a century or so later, and then a stone church built. 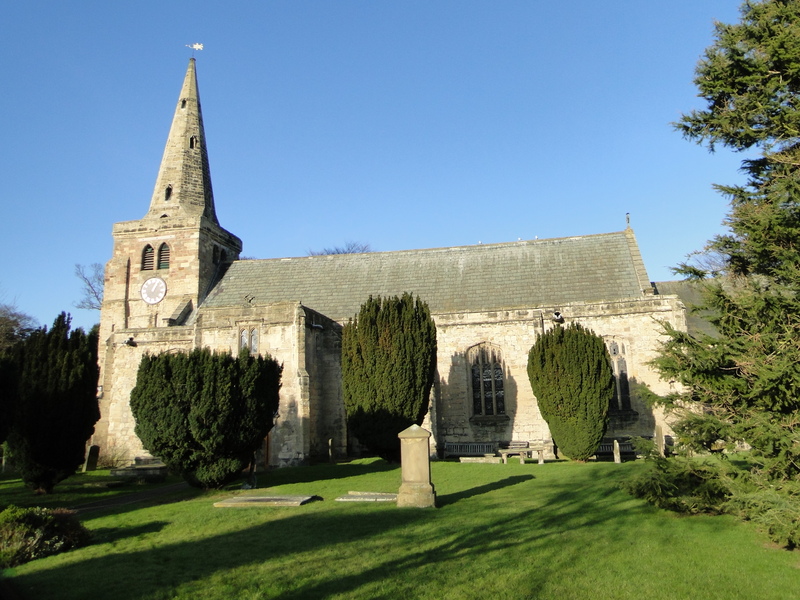 The current church was built in 1132/1140 – and the South Aisle added in the 15th century. On 13 July 1174 Duncan, Earl of Fife, set fire to the church – where three hundred of the inhabitants of Warkworth had taken refuge. James III, the old pretender, was proclaimed King here on 9 October 1715. John Wesley preached here (in the church) on Saturday 16 May 1761. 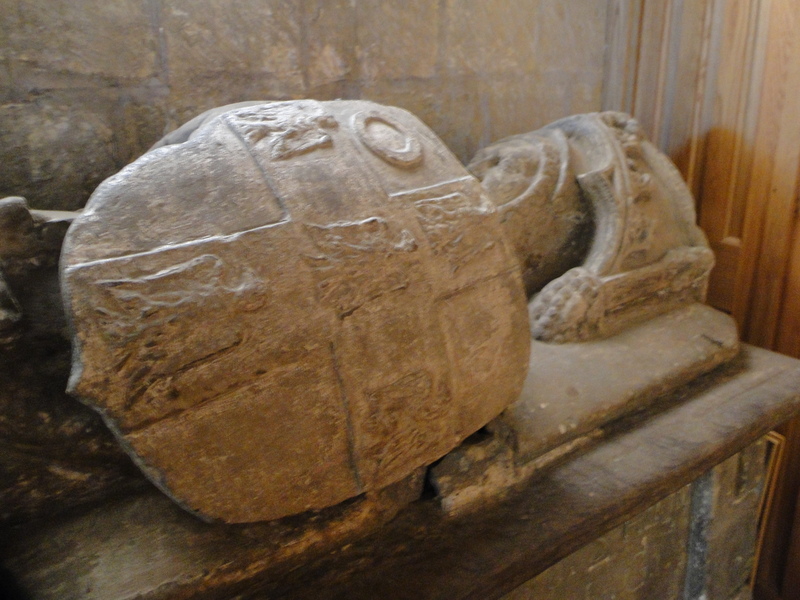 The Knight’s Tomb, dated to about 1330. The arms of his shield are those of the de Aublyn family of Durham. 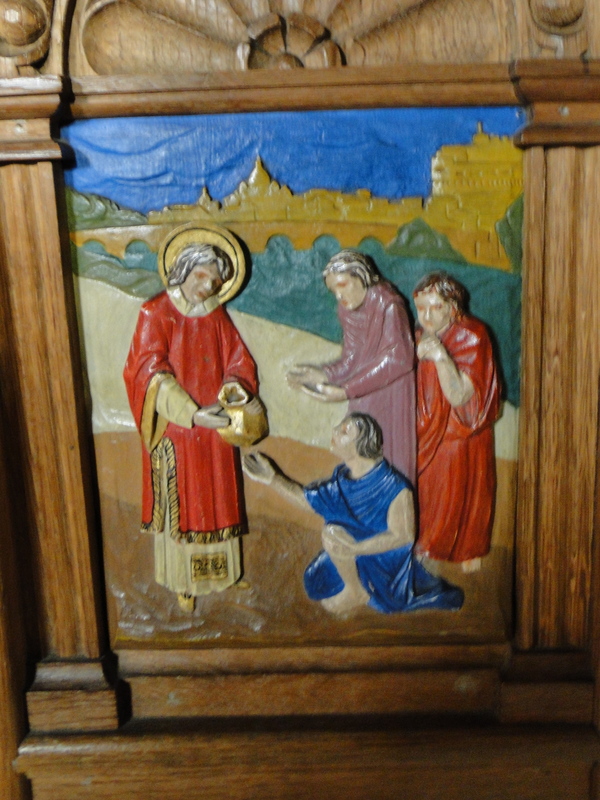 The pulpit contains some beautiful panels – the work of a 20th century artist, Alfred Southwick. 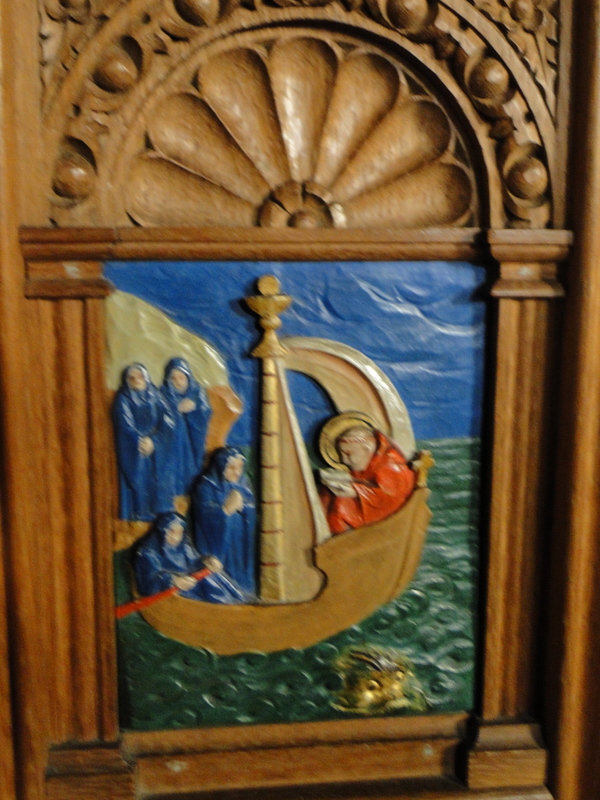 Here is St Cuthbert setting out for Coquet Island to meet the Abbess of Whitby and St Lawrence blessing the poor. 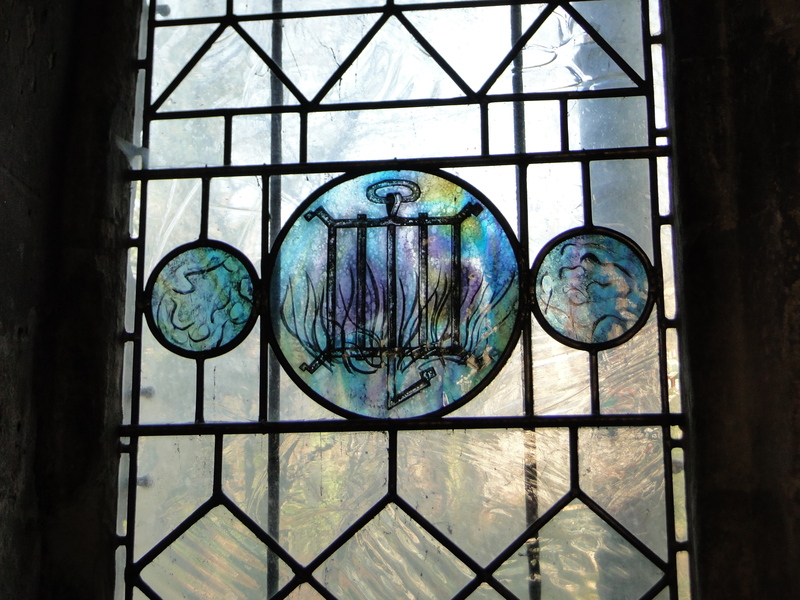 This lovely window, the Howliston window, is behind the pulpit. It shows St Lawrence’s gridiron. I can’t (easily) find out who the artist is. 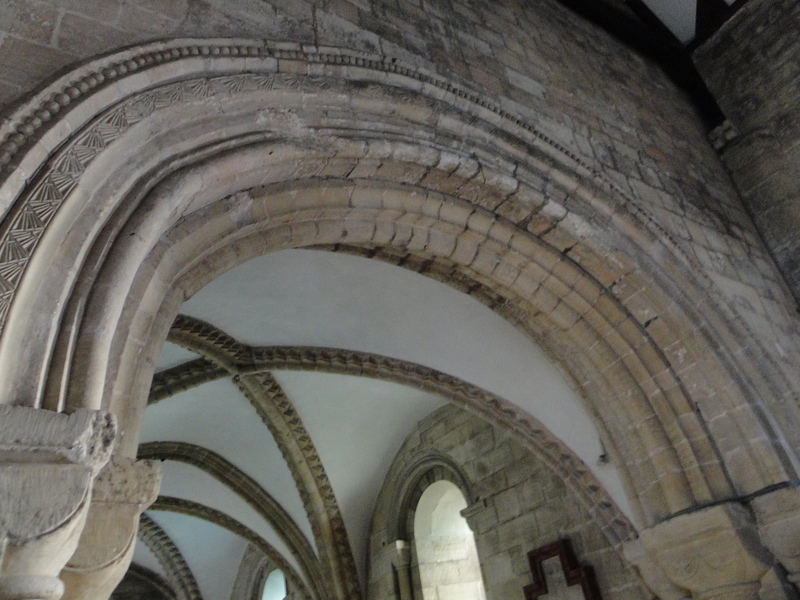 The Chancel arch is superb. There are some old lumps of stone crosses and nice metal altar rails – my photos failed. At the back I lifted a curtain into the choir vestry. Wonderful memorial plaque (shame about the sun) and a very efficient filing system. It’s now getting late – so I’ll save the outside for another blog. I’m happy with the photos I’ve blogged with today, but I wish I’d got some that showed the size and grandeur of the church. It is rather lovely.